This is my second year of photographing SuperCoolFunFest here in Nashville TN. 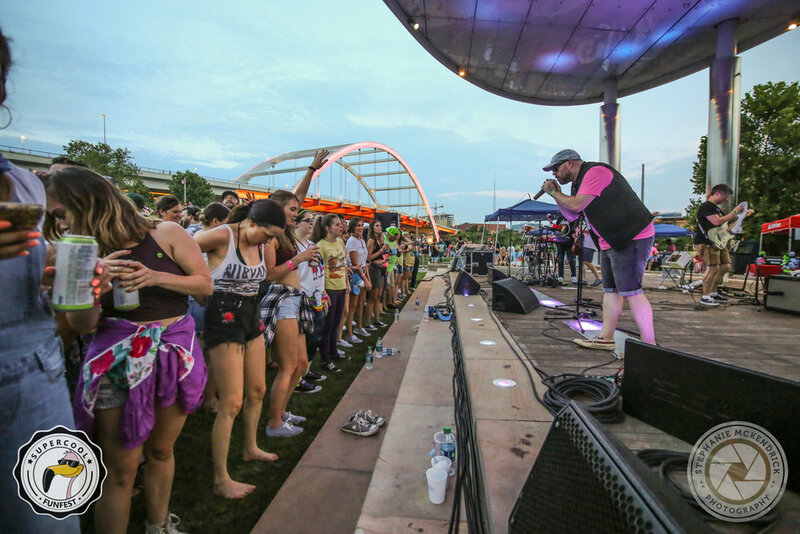 SuperCoolFunFest is a 90s themed block party that takes place in Cumberland Park, right on the river. SCFF is chocked full of a ton of your favorite 90s past times, like Foursquare, Jenga, Skip-Its, hula hoops, and so much more. Everyone dresses up in their best 90's garb and dances the night away with My So-Called Band, a 90s cover band that rocked through the night. This year, they even had the pedestrian bridge lit up pink this year!